This week, we run one last Dr. McGuestravaganza guest week, while I prepare everything to kick off the Dr. McNinja finale. 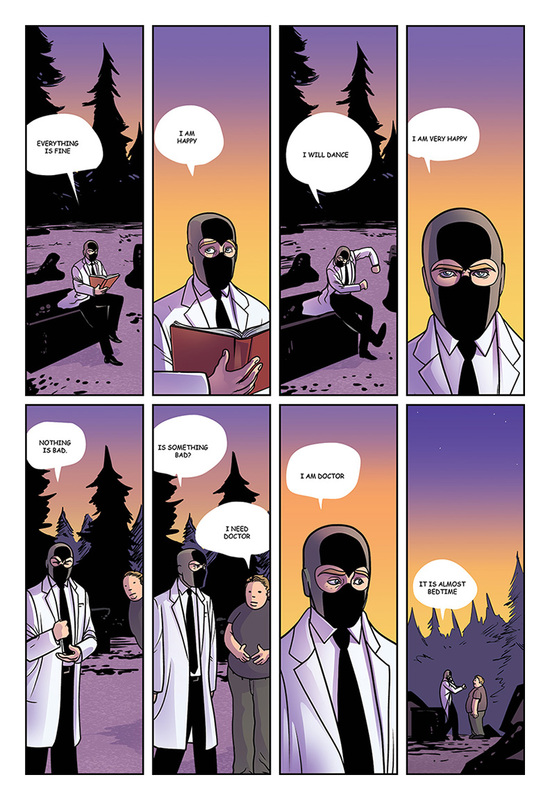 This week, I’ve invited a few of my funniest writer friends to rewrite old Dr. McNinja pages. Who are they?! You’ll have to find out with each update! This whole thing is kicked off with the page above. I sent it in to colorist, Anthony Clark without any dialogue, and when he turned in the colors, he showed he could help with the words too. Anthony’s the best! Read more of Anthony’s comics at Nedroid, and Back!